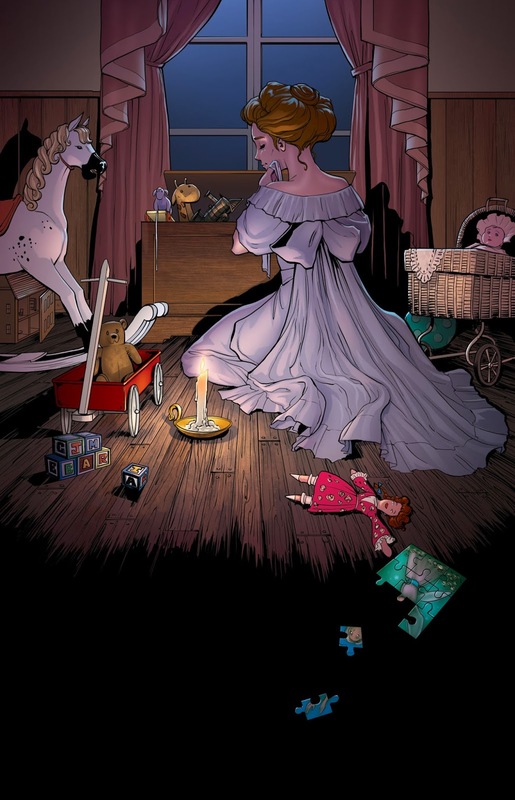 CAPTION: IT IS THE NIGHTLY CUSTOM OF EVERY GOOD MOTHER AFTER HER CHILDREN ARE ASLEEP TO RUMMAGE IN THEIR MINDS, AND PUT THINGS STRAIGHT FOR THE NEXT MORNING. CAPTION: IF YOU COULD KEEP AWAKE (BUT OF COURSE YOU CAN’T) YOU WOULD SEE YOUR OWN MOTHER DOING THIS. CAPTION: SHE WOULD POUR OVER THE CONTENTS OF YOUR DAY, MAKING DISCOVERIES SWEET AND NOT SO SWEET, PRESSING THIS OR THAT TO HER CHEEK AS IF IT WERE AS NICE AS A KITTEN. CAPTION: ON TOP, BEAUTIFULLY AIRED, ARE SPREAD YOUR PRETTIER THOUGHTS, READY FOR YOU TO PUT ON. CAPTION: DOCTOR’S SOMETIMES DRAW MAPS OF OTHER PARTS OF YOU, BUT CATCH THEM TRYING TO DRAW A MAP OF A CHILD’S MIND. CAPTION: ...FOR THE NEVERLAND IS ALWAYS MORE OR LESS AND ISLAND. "AND ISLAND" should be "AN ISLAND"
Ahhh thanks Tanja!! :D I Always appreciate a keen eye for these things! I have been closed for commissions for years due to a terrible back up on the list. I do not plan to ever open up for them again, but I will occasionally sell warm-up sketches that I post to my twitter ( @RenaeDeLiz) and Facebook, and whenever I am at a convention I'll usually take a few single character requests. Creator Owned project "Peter Pan"
Womanthology is a project I started in May 2011 to support female creators in comics.